After our elated visit to El Chalten and El Perito Moreno Glacier in Argentina, we returned back to our hostel in Puerto Natales, Chile. Found our favorite spot for beers and relaxed before our hike in Torres Del Paine the next morning. The owner of our hostel warned us against just doing a one-day hike in the national park. 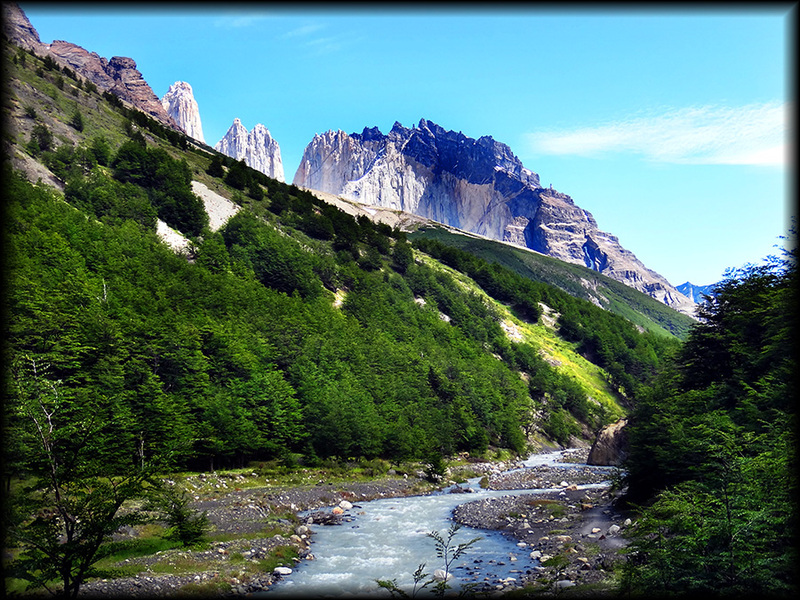 With the cost associated with staying in the park overnight, we decided to spend our allocated Patagonia days in the very affordable El Chalten/ Fitz Roy Range instead. Plus we had heard it was even more spectacular. 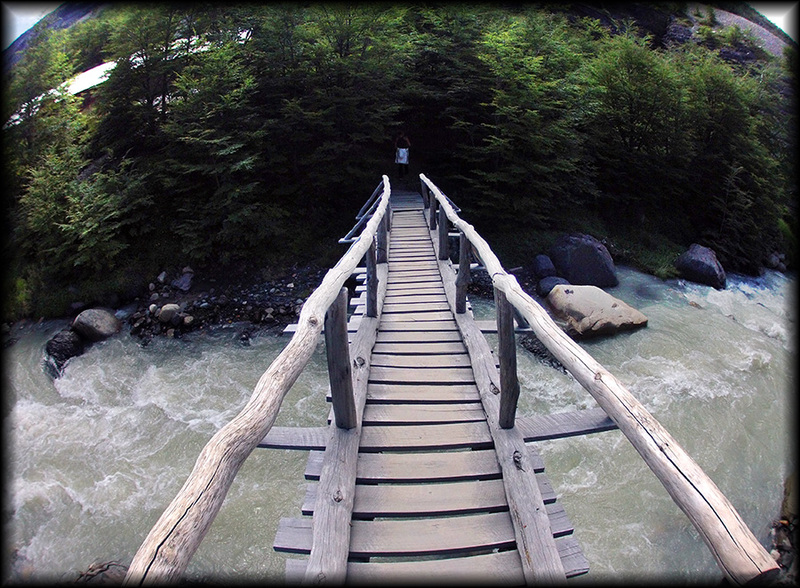 Hiking the ‘W’ trek in TDP is probably the most known in Patagonia. It will take a minimum of 5 to 9 days to do the whole thing. You have the option of camping, staying in the Refugio’s (rustic shelter) or staying in one of the many hotels and doing day hikes. Since everyone I talked to warned again camping due to the sever wind and rain, I looked into staying in the Refugio’s. In the end I couldn’t justify paying a minimum of CLP$25,000 ($50 US) per person, per night for a bunk bed with no sheets, blankets or pillows, plus the National Park fee (CLP$18,000/ $36 US) for a 3 day pass and buses (PN to TDP return- CLP$15,000/ $30 US + shuttle w/in park CLP$5,000/$10 return) to get there. 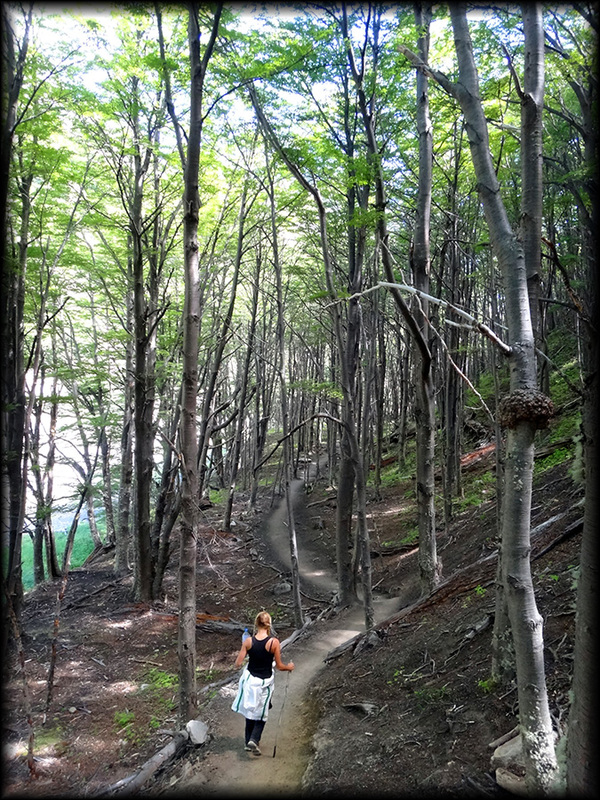 In El Chalten we paid $33 US/night for both of us, no park fee and we could walk right out our front door to the many trails. It just made more sense! 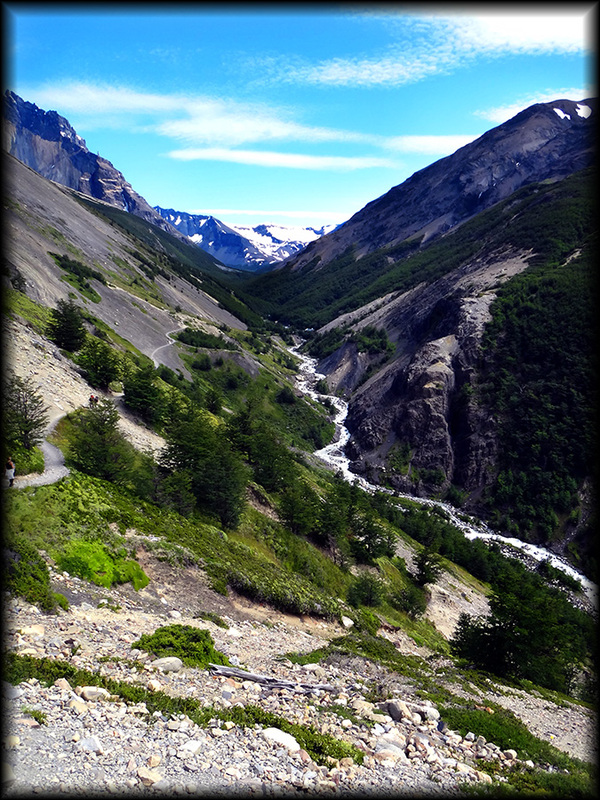 But I knew we still needed to at least see and experience Torres Del Paine, if only for a one-day hike. Our hostel owner organized the bus to pick us up in front of the hostel at 7:30am, even though the station was only 3 blocks up the road. We thought that kind of service was awesome, until we started picking up everyone from different hostels/hotels around the town. We didn’t even leave Puerto Natales until 8:40am. We could have slept in! When we reached the ranger station, we had to wait for other buses in front of us. Eventually, we got to pay our park fee, watch our intro video and discover that we still had to pay a shuttle bus to get to Hotel Las Torres, where the trail began. Its possible to walk there, but its 7.5 km (4.7 miles) and it was already 11:20am and the hike to the Mirador was suppose to take 9 hours round-trip from the Hotel. And the last shuttle back from the hotel to the Ranger station left at 7:15pm. We didn’t even think we would make it in time to the Mirador at that point. We finally got on the trail just before noon. My blisters had healed, but Abe’s knee was hurting, so we took it slow. I timed our progress on the trail by the handy map they provided and we were way ahead of schedule the entire way. The hike was beautiful, similar to a hike in Zion National Park in Utah, USA. It didn’t feel as unique as the Fitz Roy Range, but still enjoyable to be out in nature. After passing two Refugio’s we reached Mirador Las Torres in less than 3 hours and that was at a slow pace. 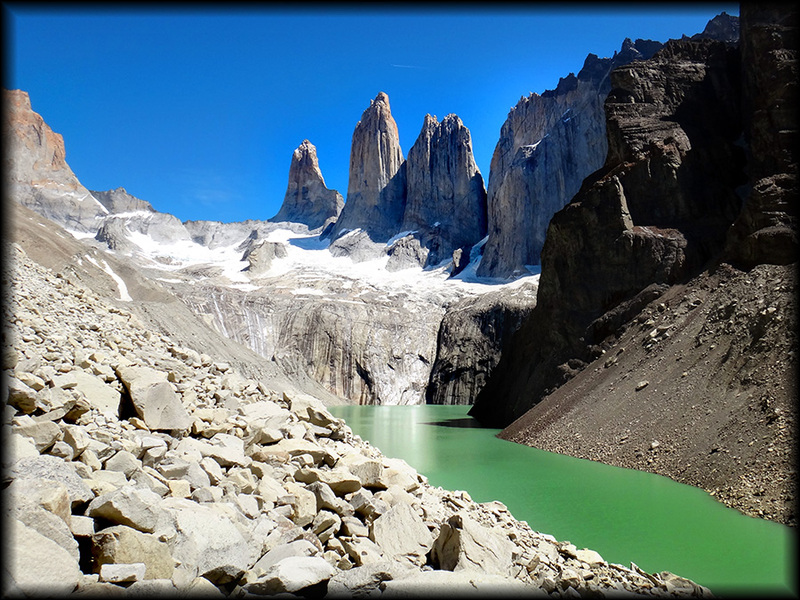 We probably should have done this hike before the Laguna de los Tres in the Fitz Roy Range, because when we came over that hill we were pretty disappointed. It was a similar mirador as a rock peaked glacier melted into a lake. But the glacier was mostly melted away and the lake was green and dirty, unlike the crystal blue one we had seen only a few days before. It probably didn’t help that it also had a price tag of $200 US for both of us for the one day hike and accommodation back in PN. Since we had time, we took a nap on the rocks before heading back down the mountain. We got back just before the shuttle was suppose to pick us up. It must have been running behind as we sat there for another 45 minutes. We thought for sure we would miss our connecting bus back to Puerto Natales. When we got back to the ranger station, there were no buses to be seen and the station was closed. Everyone was getting a bit worried. We all just sat there for another 30-45 minutes until the buses back to PN finally arrived. We didn’t arrive at our hostel until after 11pm. 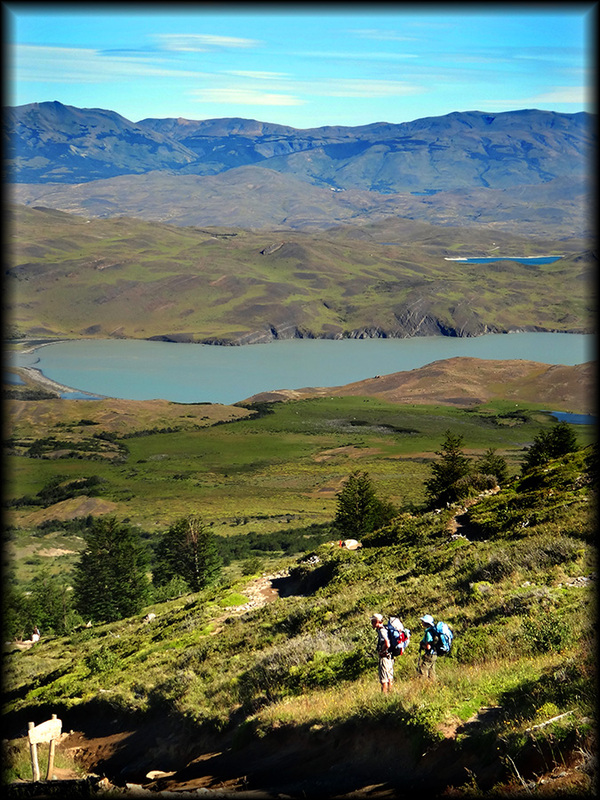 We wouldn’t recommend doing just a day hike in Torres del Paine. But if your still keen and there are more than two of you, rent a car and drive there. Otherwise, you will spend more than half your day on or waiting for a bus. 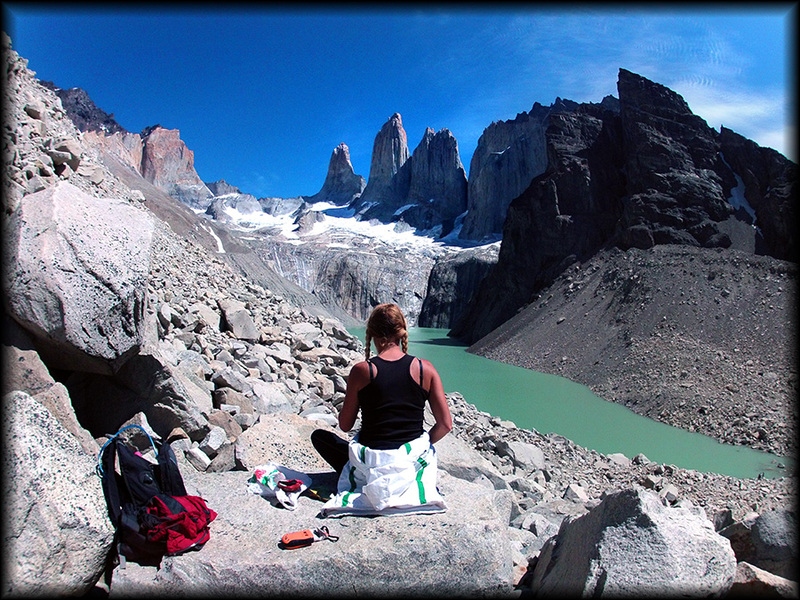 If and when we hike Patagonia again, we will only go to Argentina. Its out of this world spectacular, affordable and the food is delicious. We do have to say though, now that we look back on our photos of Mirador Torres in Torres del Paine, it really is a beautiful place.